世界のコーヒー生豆をその場で焙煎We roast the world's specialty coffee beans at our restaurant. 丁寧にハンドドリップで淹れたコーヒーの香りと味をお楽しみください。 After taking your orders, pursuant to your preference, we roast about thirty kinds of coffee beans imported from around the world at our restaurant. It takes ten to fifteen minutes. While you are waiting, you can enjoy a cup of coffee of the day without charge. Please enjoy the aroma and flavor of hand drip coffee. 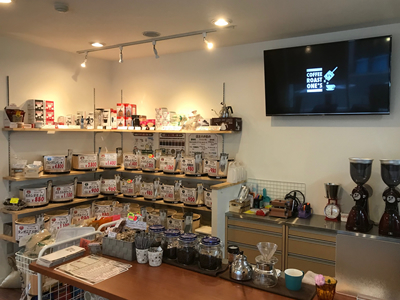 無料のコーヒー教室を開催!※予約制We host a free coffee class. *Reservation Required. 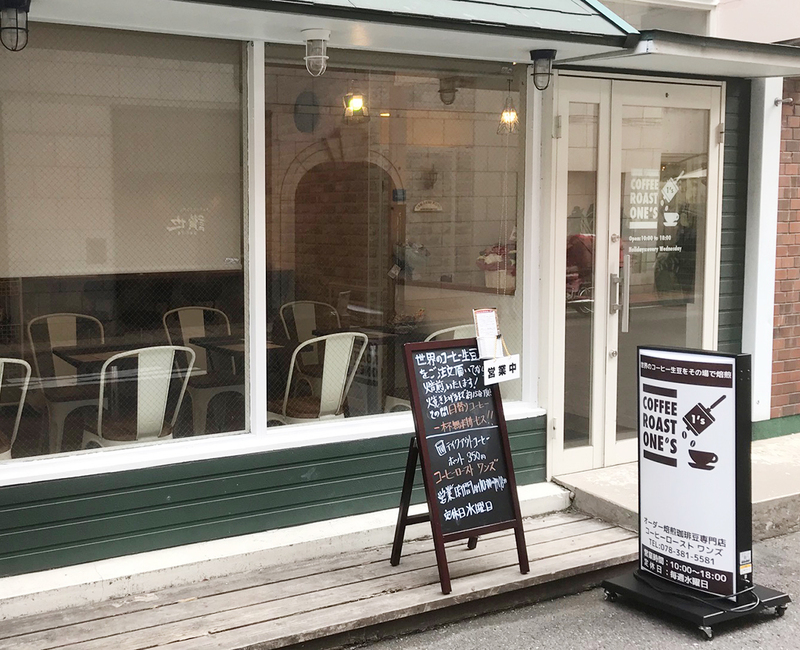 ハンドドリップをマスターして焼き立てコーヒーでお家カフェしませんか！ To enjoy delicious coffee, We, One's, recommend Hand Drip method. We host a coffee class so that you can enjoy real coffee flavor at home. 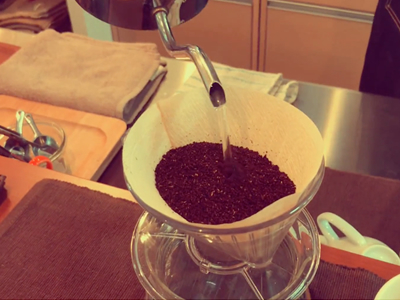 Let's master Hand Drip method and enjoy freshly roasted coffee at home! チョコレートフレーバー。ミルクと好相性Chocolate Flavour. You can try it with milk.